The Canon C300 PL Mount Cinema Camera is a versatile tool based on the Super 35mm motion picture film standard. It features a sensor that is designed specifically for high frame rate footage capture, with high resolution, shallow depth of field, and low noise. 1920x1080 in 60/50i or 23.98/25p can be recorded internally in the Canon XF codes thanks to dual onboard CF slots (cards not included) while custom picture files, camera settings, and user memo files can be saved on and read from an SD card (card not included). The C300 features Canon Log that sets the camera to max dynamic range and provides wide exposure latitudes. The files produced using log format are ideal for post production corrections and grading. The versatility of settings and high number of outputs and connection points provides operators with complete control over functions such a iris, shutter, gain, zoom, audio, and rig arrangements. A pair of Peaking Modes and a Magnify Focus Assist are available in both standby and record mode, making it extremely easy to check and confirm critical focus settings. 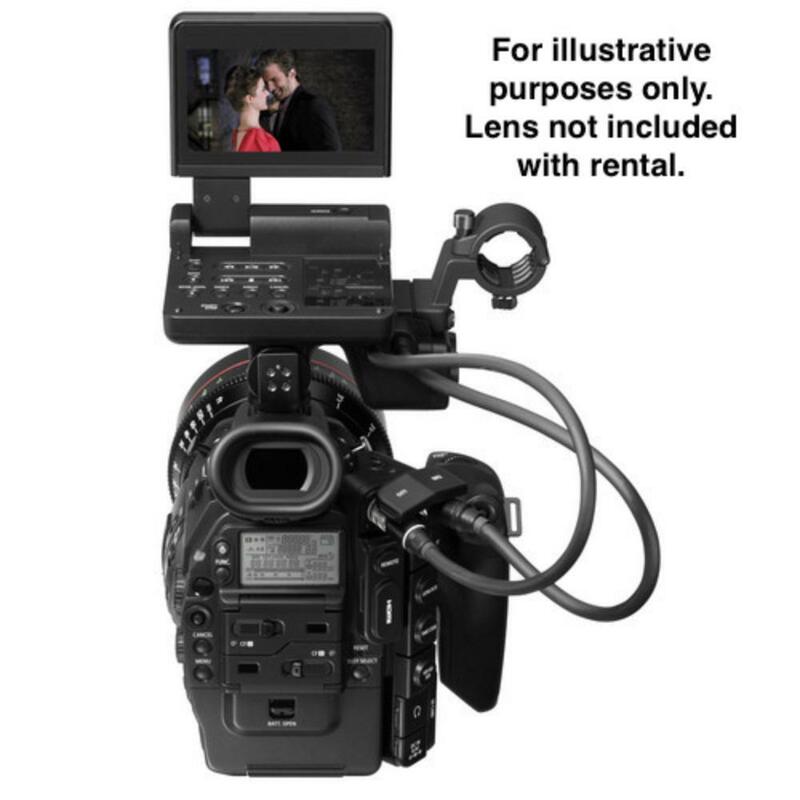 The Canon C300 Cinema Camera with Dual Pixel CMOS AF is ideal for cinematographers working with corporate clients and on larger production sets, as well as for documentarians and broadcasters. 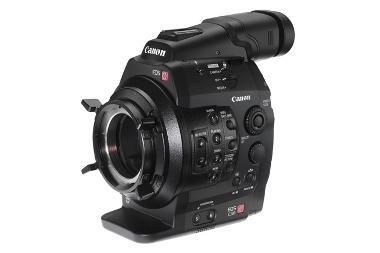 For an updated version of this camera, please see the Canon C300 Mark II PL Mount Cinema Camera with Dual Pixel CMOS AF. Please note that this is the PL mount version. If you're looking for something similar but for EF mount, please see the Canon C300 Cinema Camera with Dual Pixel CMOS AF or the Canon C300 Mark II EF Cinema Camera with Dual Pixel CMOS AF. • This rental is for the PL mount version. If you're looking for a camera like this in EF mount, please see either the Canon C300 Cinema Camera with Dual Pixel CMOS AF or the Canon C300 Mark II EF Cinema Camera with Dual Pixel CMOS AF. • Please note that this C300 does not include the Dual Pixel CMOS AF upgrade.